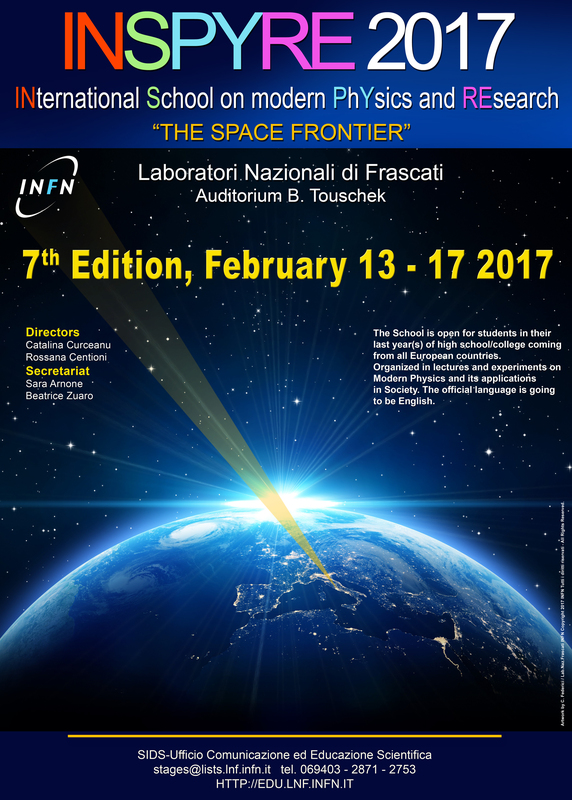 The National Laboratory of Frascati (LNF) of the Istituto Nazionale di Fisica Nucleare (INFN), Frascati (Rome) Italy, are organizing the 6th Edition of the INternational School on modern PhYsics and REsearch, under the theme: The Space Frontier. The School, to be held in the period of February 13-17, 2017, is open to about 70 students in their last year(s) of high school coming from all over Europe. INSPYRE involves lectures on Modern Physics and its applications in Society, with a special focus on “the space frontier”, and laboratory activities. 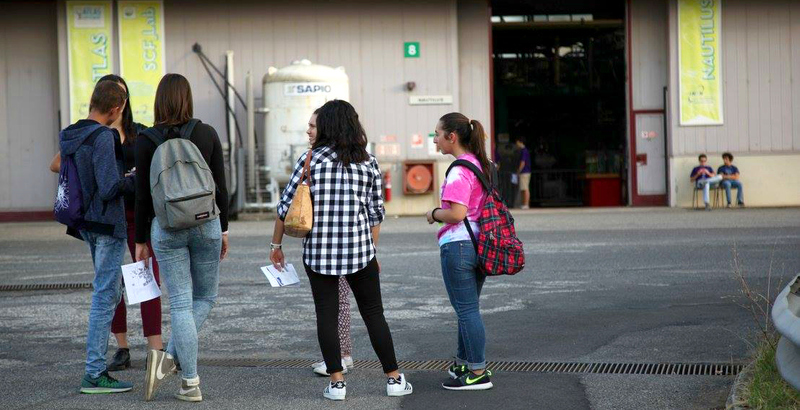 The participants will also have the opportunity to visit the main experiments and accelerating facilities at LNF. English is the official language of the school. In order to participate, the high-schools should send an official application to the LNF, indicating the names of max 2 students selected according to their curricula. Because of the high number of applications, selection will work on a first come first served basis. To send your application, you will be asked to fill in our online form. Application deadline to apply is November 19, 2016.